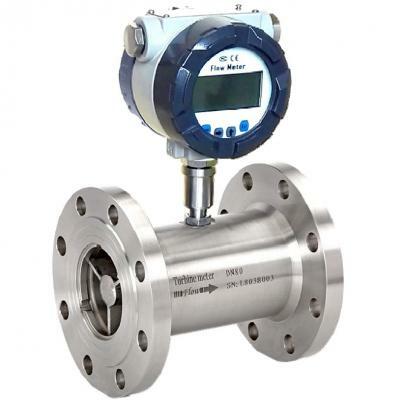 Oil flow meter is a precise instrument used to measure the flow of liquid. The oil flow meter keeps in line with the PRC's professional standard of JB/t9242-1999, and is novel in design and reasonable in structure. It has the characteristics of light weight and high precision, so it is widely used in the measurement of various oil products and medium of low corrosion. The oil flow meter is a type of volume meter, which is mainly consist of a measuring box and a pair of elliptic gears installed in the measuring box. They constitute a sealed crescent-shape cavity with the cover plate, functioning as a measuring tool. 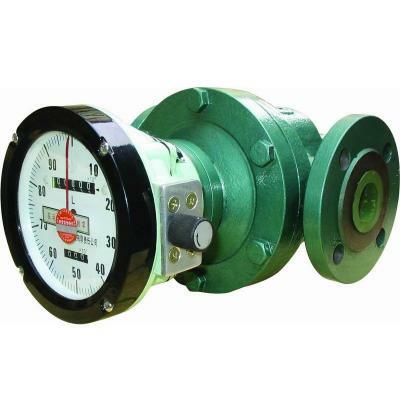 The pressure differential in the inlet of the oil meter drives the elliptical gear to rotate. The fluid is ejected after being measured by the cavity, so the elliptical gear can output 4 times the volume of the cavity per week. Therefore, the rotation of the elliptic gear is proportional to the flow of the fluid. The oil flow meter is mainly composed of a body, a pair of elliptical gears, magnetic couplings, adjusting gears, counters and transmission devices. 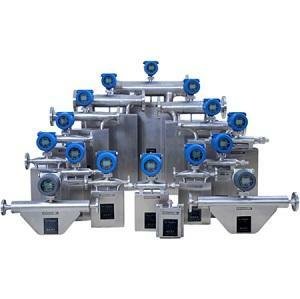 The body of the flow meter is divided into two kinds: single body and double body. The single body means the shell and the measuring box is integrated while the the double body refers to the separated shell and measuring box. The rotation of the elliptical gear is transmitted to the counter by a magnetic coupling and a speed reducer formed by a series of gears. 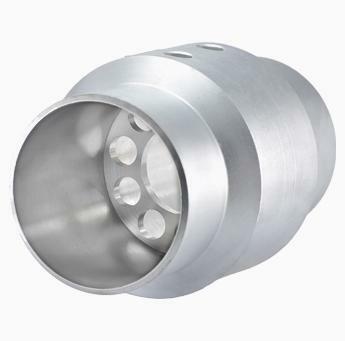 The magnetic coupling is mainly composed of active magnetic steel and driven magnetic steel. Using magnetic coupling can improve the working pressure and working temperature of the flow meter. The operation is safe, and the maintenance work is reduced.